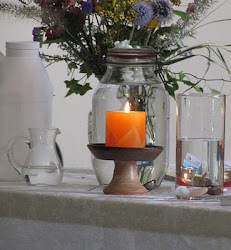 UU A Way Of Life: How does a person awaken? How does a person awaken? Unitarian Univeralists covenant together to affirm and promote the acceptance of another and encouragement to spiritual growth. 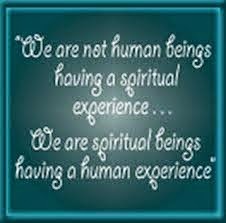 What is this "spiritual growth" to which the principle refers? 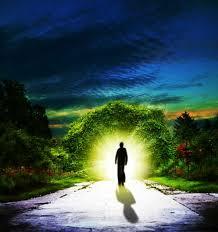 In the perennial psychology the epitome of spiritual growth is called enlightnement or awakening. How does a person achieve enlightenment or awaken? According to Steve Taylor in his book, The Leap, there are three ways: a small number of people are born awake (They have been called "old souls"), some awaken gradually, and some awake in a miraculous moment often induced in a crisis. The greatest number of people reaching enlightenment are probably in category two, the gradual awakeners. These are people who engage in spiritual practices such as prayer, fasting, meditation, community service in mindful ways, spiritual reading, etc. Awakening has several associations in psychology such as emotional intelligence and Murray Bowen's concept of "differentiation." Both EQ and differentiation require self knowledge, self control, motivation, empathy, and social skills (interpersonal connections called in religious language agape or love). The first two aspects of EQ: self knowledge and self control get the biggest focus in religious practices. Shedding the ego, undoing social conditioning, leaving the path of the ego to enter onto the path of the spirit, is the road to enlightenment. It has taken me years to realize that my "wave" or more like my "droplet" is part of the ocean. I am one of the gradual awakeners. On a ten point scale I think I'm about at 8 maybe.